1 IN 9 PEOPLE, OR 815 MILLION, ARE HUNGRY! THAT’S ALMOST 200 TIMES THE POPULATION OF NEW ZEALAND. THE MAJORITY LIVE IN ISOLATED AREAS WHERE ACCESS TO BASIC HUMAN RIGHTS IS DENIED. Hunger is not merely a lack of food, it is related to a nexus of issues; clean water and sanitation, nutrition, education, women’s empowerment, maternal health, environment, microfinance, health, agriculture and food security. In fact, hunger isn't about food at all. It's about people. Hunger is a human issue and requires a transformation of how the world works. At the forefront of this transfromation is human dignity and standing up for what's right. To solve hunger sustainably, you must believe that it is possible and create an enabling environment for change to occur. Our approach of starting with women as key change agents, mobilising communities into self-reliant action and creating effective partnerships with local government, is proven work in any context, in any environment. 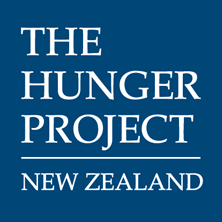 We don’t simply address the symptoms of hunger, we mobilise people and empower them to drive change. That's why we believe the key to ending hunger are the hungry themselves. We people are supported to take on their own development and capacity building they become authors of their own future and lead change. So many of us know what needs to be done, we often just lack the belief we are capable being bound by circumstance we remain paralysed by fear. It is no different for a person in rural Malawi or India than it is for us. We live in a moment in history where the world produces enough food for every human being to consume enough calories to live a healthy life. We all have a right to food, yet still more than 800million people a day wake up not knowing if they will eat today, tomorrow or the week. It is easy to think the problem is 'too big' when you think there are 800 million mouths to feed. What can I, one person in more than 7 billion really do, to impact so many? The good news is, you're not alone. The United Nations and its agencies including the World Food Programme (WFP), the Food and Agriculture Organisation (FAO), and the International Fund for Agriculture Development (IFAD) are working to reduce hunger by getting emergency food supplies to families in crisis, improving agricultural and food production, building resilience in communities, and other steps vital to eliminating hunger and malnutrition. The UN along with the work of governments, businesses, civil society, and other partners, have made gains in the fight against hunger in recent decades. We have the ability to end hunger; now we need to mobilise the collective will to do it by 2030. It will take more than ‘business as usual’. It will take each and everyone one of us taking collective action, big or small, in partnership with the hungry themselves to create a future for all of us. 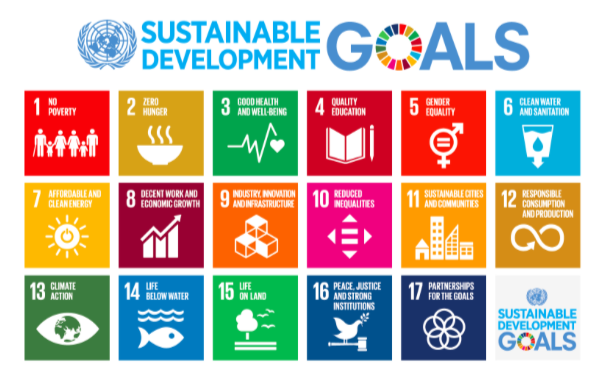 After all, ending hunger and poverty are number 1 and 2 of the Sustainable Development Goals, 17 interconnected goals that create a ripple effect on each other. That’s why, when we work to solve hunger and poverty we create a sustainable future that works for us all. A WORLD FREE FROM HUNGER, WORKS FOR US TOO. Have you ever asked yourself “Is there more to life than this?” Whilst our circumstances are different to people who live in Africa or Bangladesh, we are often resigned to the status quo and feel powerless to create change. We’re all hungry for something be it purpose, connection, contribution, a better life for ourselves, our families, our community or to make a difference. This mental hunger can be crippling too. At the core of this need is human dignity and knowing our lives matter. In a world where we are searching for more, partnering with those who need it most, makes life richer. We partner by investing our money in programmes that are proven to work, in doing so we enable leadership, potential in others, possitive change to occur and for people to build their own skills and agency. This act of leadership awakens us to what we have and what we need. It can shape our decisions and how we lead our lives, our businesses, our familiy. In giving you feel joy and contribution. That's why we believe hunger and poverty are not problems of one country or another but are global issues solved as global citizens. The Sustainable Development Goals are 17 goals set to transfrom our world - the world we all share. We can all be empowered to lead change. When we partner with the worlds most serverly hungry, and work together to solve it, we make it possible for change to occur here too.